San alt seo tha Ruairidh MacÌomhair a’ cuimhneachadh air a’ bhàrd Deòrsa Mac Iain Dheòrsa, air ceann-bhliadhna a bhreith. 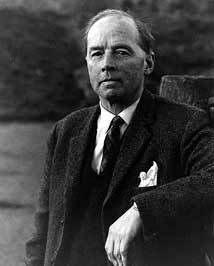 In this article Ruairidh Maciver remembers the poet George Campbell Hay on the centenary of his birth. Aig toiseach na Dùbhlachd, chomharraich sinn ceud bliadhna bho rugadh am bàrd Earra-Ghàidhealach Deòrsa Mac Iain Dheòrsa. Tha Mac Ian Dheòrsa air aon dhe na bàird Ghàidhlig agus gu dearbh Albannach as cudromaiche bhon fhicheadamh linn, agus ged a tha sreath thachartasan fìor mhath air a bhith ga chomharrachadh am bliadhna, chan eil e idir cho aithnichte is a tha bàird mhòr eile an Ath-bheothachaidh Albannaich, leithid Ùisdean MacDhiarmaid agus Somhairle MacGillEathain. Is dòcha gur e am prìomh adhbhar airson seo nach deach a chuid obrach a chruinneachadh còmhla gu 2000, nuair a chaidh an deasachadh mìorbhaileach a rinn Michel Byrne a chur an clò. Leis gu bheil sin air a bhith againn grunn mhath bhliadhnaichean a-nis, tha làn thìde an t-urram agus an t-àite air a bheil Mac Iain Dheòrsa airidh a thoirt dha. Rugadh Deòrsa Mac Iain Dheòrsa ann an Ach na Feàrna, Siorrachd Rinn Friù air an 8mh latha den Dùbhlachd 1915. Bu mhac e do dh’ Iain MacDhùghaill Hay, à Tairbeart Loch Fìne, am ministear agus ùghdar a sgrìobh an nobhail ainmeil Gillespie (1914). Thug an leabhar sin seachad dealbh cruaidh de bhaile beag iasgaich, anns an robh muinntir an àite làn sannt agus brùidealachd. Bha an t-àite a dhealbhaich MacDhùghaill Hay san leabhar gu math coltach ris an Tairbeart agus mar sin feumaidh nach robh e furasta dhan teaghlach nuair a bha aca ri gluasad air ais dhan bhaile as dèidh bàs an ùghdair ann an 1919. She canna thole a lee. and ease her through a sea. She’s a seeker, she’s a hawk, boys. Thon’s the boat for me. The pity is that any Scotsman who thinks or is alive or revolutionary is strongly for Scottish self-government; but they are nearly all side-tracked into being communists, Labour men, Liberals and God knows what. If they had eyes in their heads they would see that under the present dispensation nothing will be done for the good of the people… Surely they can at least see how thin the cloak of parliamentary representation is wearing, and notice the fascist posturings of those on high. am broinn a chèile am brùchdadh toit’ a’ tuiteam. Ged a bhrosnaich na bliadhnachan aige sa chogadh cuid dhe na dàin as fheàrr a rinn e, dh’ fhuiling e gu mòr air an sgath le tinneas-inntinn ceangailte ris na thachair dha. Bha seo aige fad a bheatha as dèidh seo, a’ mhòr chuid dheth a chur e seachad ann an Dùn Èideann, le ùineachan fada san ospadal, mus do bhàsaich e ann an 1984. Chum e air a’ sgrìobhadh sna bliadhnaichean seo, ged a bhà e sàmhach airson ùineachan mòra, agus cha do dh’ fhoillsich e ach trì cruinneachaidhean na bheatha, eadar 1948 agus 1952. Bhiodh Mac Iain Dheòrsa cuideachd a’ foillseachadh gu cunbhalach ann an irisean agus pàipearan-naidheachdan nàiseantach, leithid The Scots Independent, cho math ris an iris Ghàidhlig Gairm, agus mar sin bha tòrr dhen bhàrdachd aige sgapte ann an diofar àiteachan nuair a bhàsaich e. Cha mhòr nach deach cuid mhath dhe na pàipearan aige air chall buileach, mus deach an lorg am broinn màileid aig reic-tairgse ann an Dùn Èideann an 1985 leis an fhear-reic leabhraichean, Dòmhnall MacCarmaig. Tha na pàipearan seo air fad a-nis cruinn-còmhla ann an Leabharlann Nàiseanta na h-Alba. Bha dàin Mhic Iain Dheòrsa air tòiseachadh a’ nochdadh anns na 30an, mun aon àm a nochd bàrdachd Shomhairle MhicGilleEathain. Còmhla, chuir an dà bhàrd neart ùr ann am bàrdachd na Gàidhlig, a’ tarraing air an traidisean ach ga leudachadh le susbaint agus seallaidhean nuadh. Bha Mac Iain Dheòrsa gu h-àraid measail air seann mhodhan agus fhoirmean bàrdachd na Gàidhlig agus chuir e gu feum na modhan seo na bhàrdachd fhèin, gu ìre mhòr a’ seachnadh nam foirmean ùra a bha air tighinn a-steach le modarnachd san fhicheadamh linn. ’S cinnteach gun do chuir seo cuideachd ris an dìth aithne a th’ air obair an-diugh, oir chan eil teagamh nach robh co-dhiù coltas seann-fhasanta air obair Mhic Iain Dheòrsa an taca ris a’ mhòr-chuid de nua-bhàrdachd Ghàidhlig. is i Alba nan Gall ‘s nan Gàidheal is gàire, is blàths, is beatha dhomh. Siùil mhara ’s grianstad sa fhuil ann. Agus bha domhan beò gun teagamh ann an Deòrsa Mac Iain Dheòrsa, a thàinig am barr ann am pailteas bàrdachd. ’S e bàrd susbainteach a th’ ann ann an gach dòigh agus tha sinn fortanach airson a shaothair fhèin agus an obair mhòr, mhionaideach a chaidh a dhèanamh gus na dàin aige a thoirt còmhla. Tha a chuid obrach na theisteanas air bàrd a thuig luach iomlan a chultair fhèin, agus a tharraing is a chuir ris a’ chultar sin na trì cànain. Tha e ceart gu bheil Mac Iain Dheòrsa ga chuimhneachadh air a’ cheann-bhliadhna seo, agus tha sinn a’ cur ar clach beag fhèin air a’ chàrn an seo. Taing dhan W L Lorimer Trust airson cead bàrdachd Mhic Iain Dheòrsa a chleachdadh, agus dha Gordon Wright airson cead an dealbh fhoillseachadh. Tha na h-às-earrannan san alt seo air fad bho: M. Byrne (ed. ), Collected Poems and Songs of George Campbell Hay (Edinburgh, 2000). An gabh ceartachadh beag a chur ann? Is e “air an Tairbeart” a bu chòir a sgrìobhadh air àite sam bith dhen ainm sin, dìreach mar “air a’ Chomraich”. Taing Fhearchair, air sin atharrachadh. Mòran taing airson seo, a Ruaraidh! Aon de na bàird as fheàrr leam. Math fhèin, a Ruairidh ! Tapadh leat !